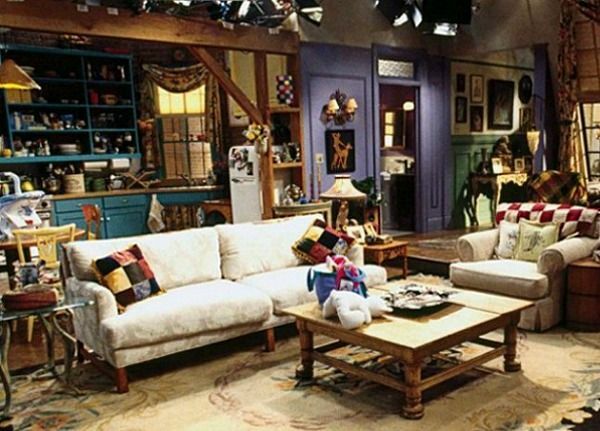 Have you ever wondered what the inside of your favorite TV homes look like today? 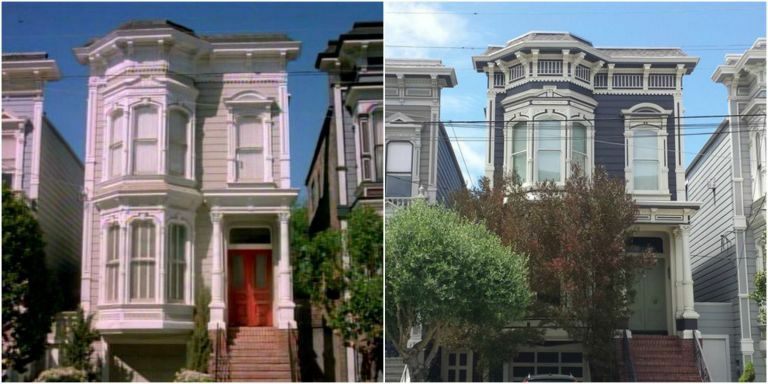 For example, the home in Full House, Mrs. Doubtfire, Sixteen Candles, Friends, and Home Alone look completely different than what they looked like in the movie. The only part of homes that have remained the same are their exteriors. And for some of them, even that has slightly changed. 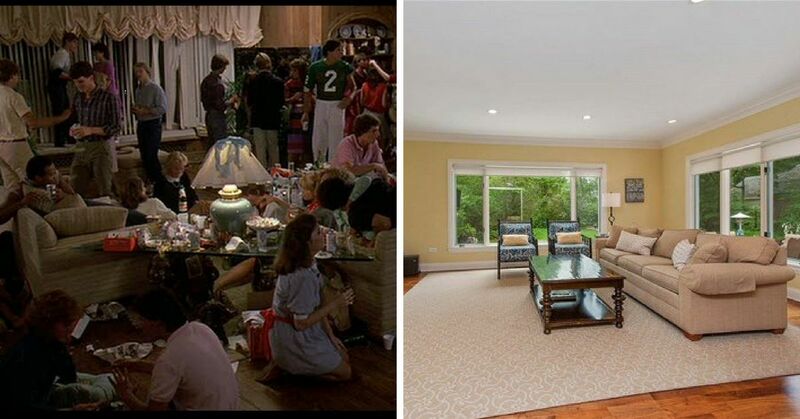 Molly Ringwald starred in the coming-of-age classic Sixteen Candles, which was set in a colonial home in suburban Chicago. The 3,250-square-foot home includes six bedrooms and baths. It sold for more almost $1.5 million in 2016. Not much of the exterior of the home has changed, other than the landscaping. 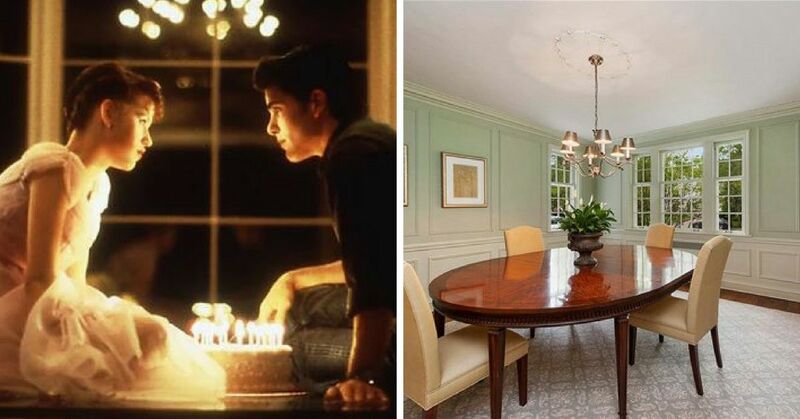 But the inside of the home looks nothing like the 1984 romance film. 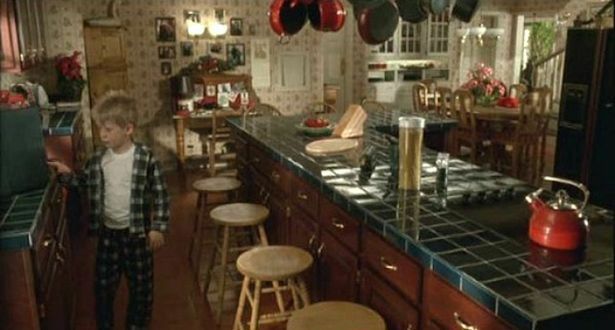 I don't think there's anything in the Sixteen Candles kitchen that hasn't been changed! In the movie, the living room really lived up to its name. I'm glad they changed the curtains, I always thought they were tacky. The dreaded 16th birthday wasn't all that bad. For what it's worth, it was better than mine. 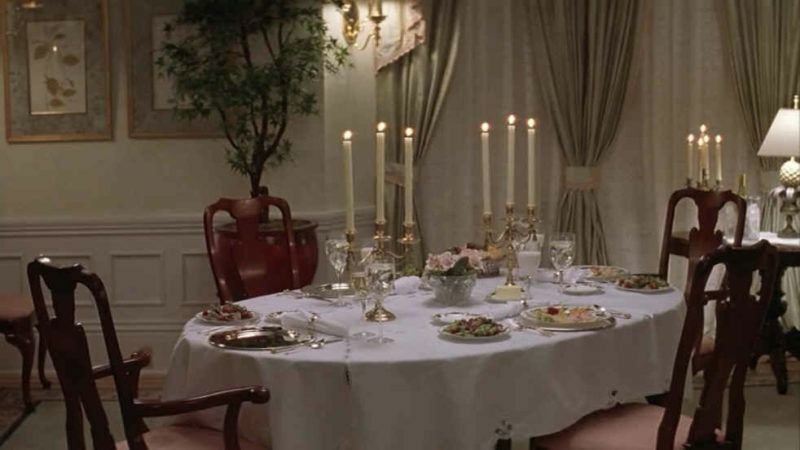 Because I loved this scene so much, it hurts to see how much the dining room has changed. What I do like is the pale green paint job. 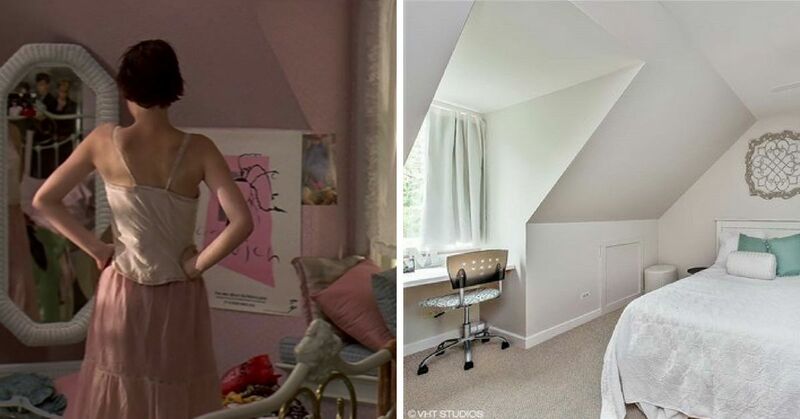 Samantha Baker's room was what any 80s teenager's room would look like: messy and pink. This is why I'm getting no nostalgia vibes from this renovated home, but at least it looks pretty. The McCallister home from the 1990 classic Christmas movie Home Alone is one of the most recognizable homes in America. 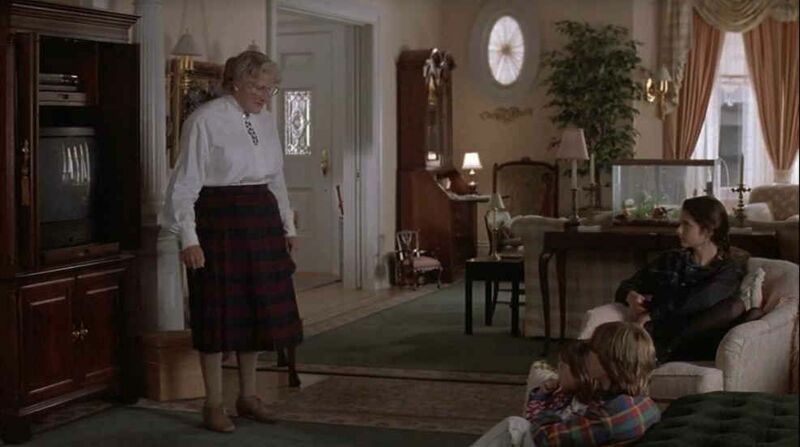 It's been almost 30 years since we've seen the inside of the home. That's a long time, and for a luxury home like that you'd expect the house to have undergone a lot of changes. 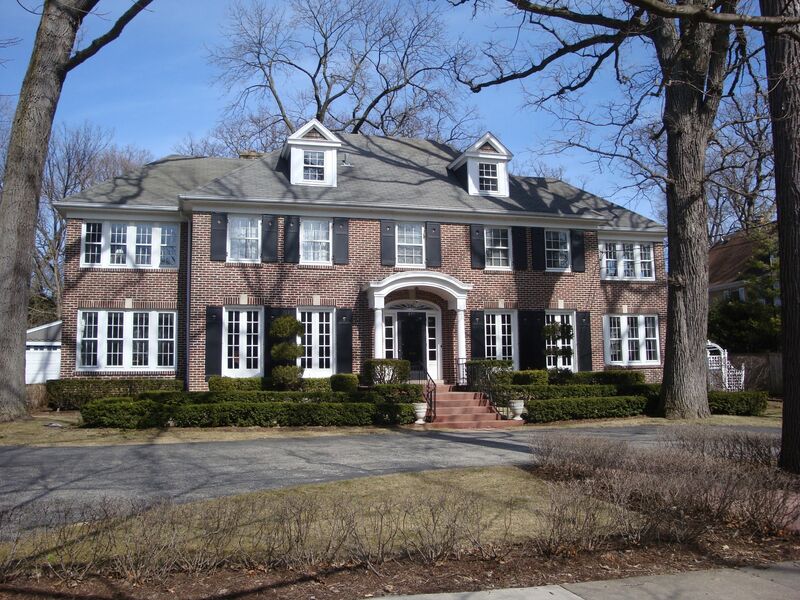 The red brick colonial Georgian house in Winnetka, Illinois went on the market in 2011 and was sold for $1.58 million. 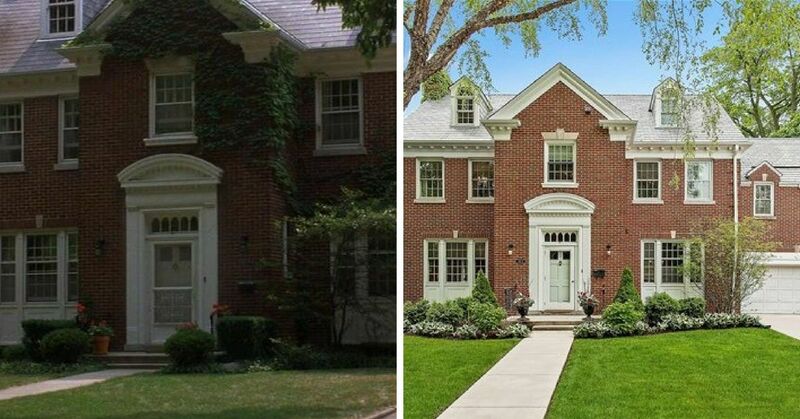 The 4,250-square-foot home is by Lake Michigan, making it a popular spot for wealthy families. 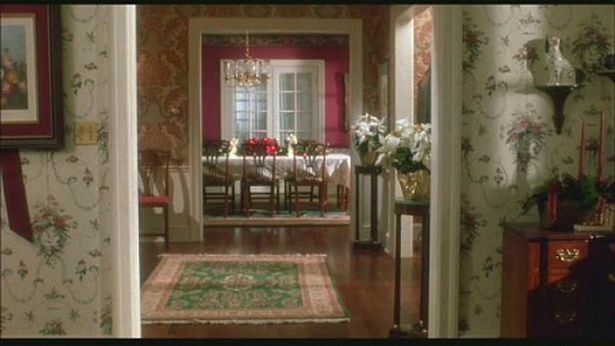 This Christmas home looks nothing like it did before, check it out for yourself. The kitchen definitely looks less festive and more modern. 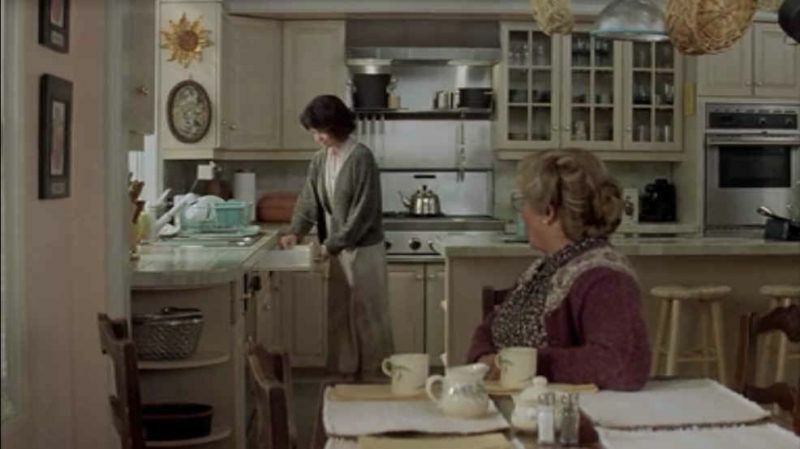 I like how they chose to keep the aesthetic of pots hanging above the kitchen island. You can also tell that the modern kitchen looks much more spacious than what it did before. 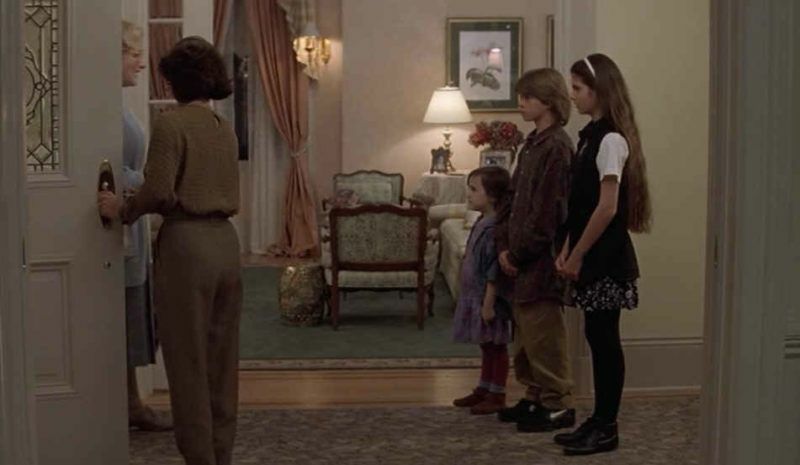 I really liked the way the Home Alone house used to look like, but I was never a fan of those wooden stools. 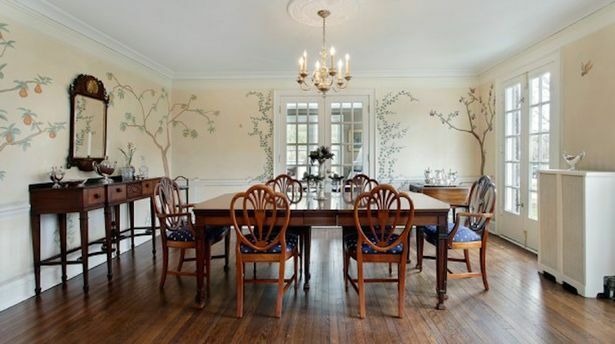 It looks as if they tore down the walls and made a massive dining room area. I like this open-concept much more than the original. The original steps look so much wider than the renovated ones. 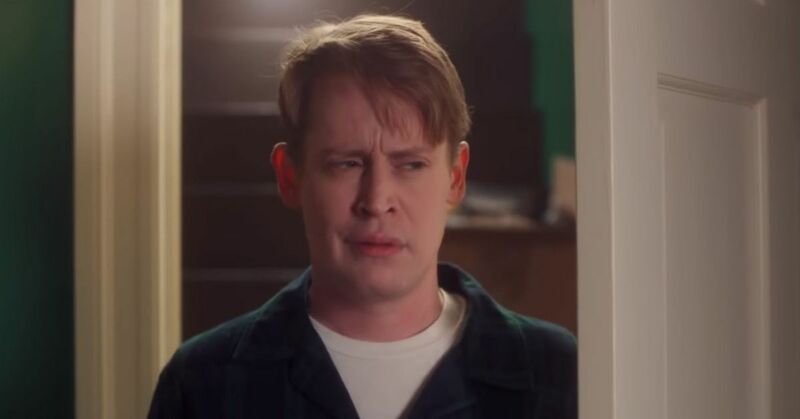 It's possible that this room was shot on a set or else the camera angle is tricking our eyes. I've got to admit. 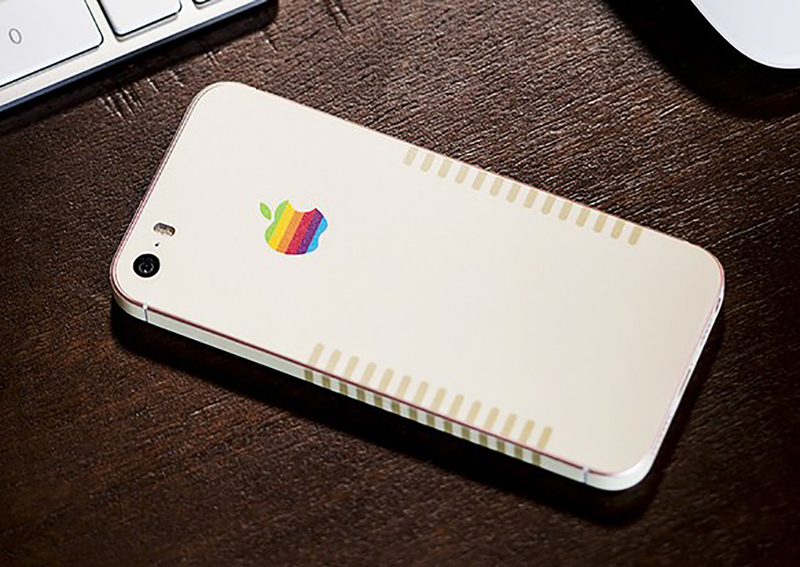 the original wallpaper was tacky. These light blue and white walls make the home look brighter and bigger. I like how the new owners kept a piano in the office area. 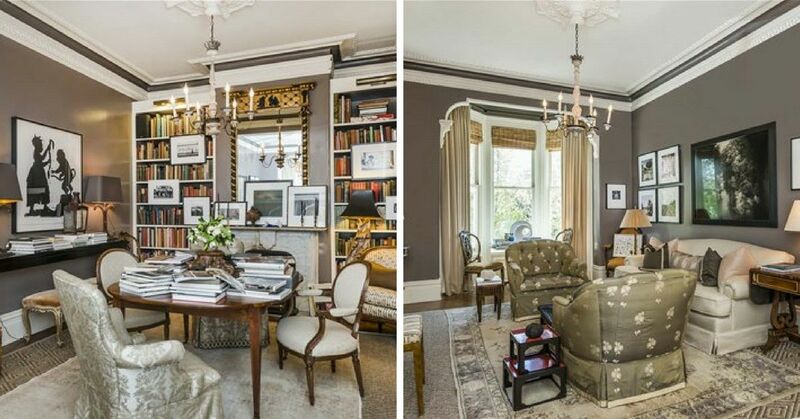 I must say, this is my dream office room - look at those big windows! The place that Kevin McCallister felt like he was the king of the world looks much simpler today. There's still the four poster bed and two bed lamps, but everything else has been changed. Modern homes do look nice, but 90s homes were so cozy! Rachel and Monica's New York City apartment was the coolest hangout spot. 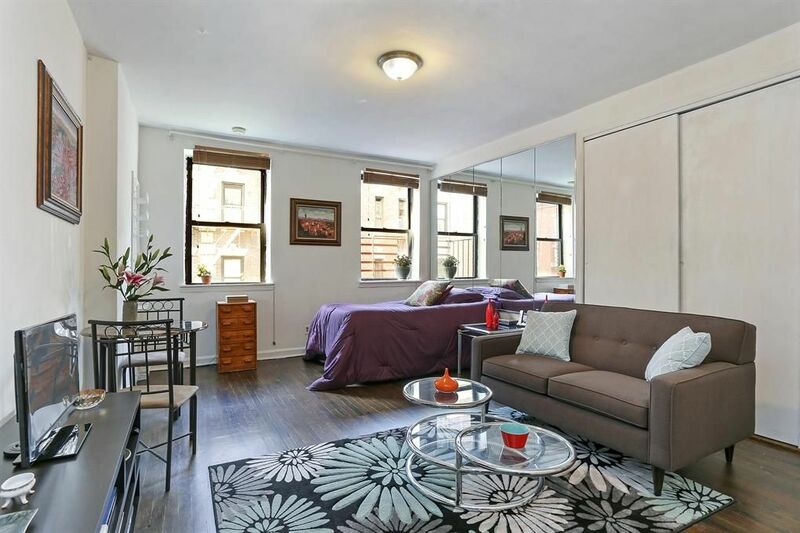 It'll never stop being surprising to us how these two young girls afforded an apartment like this in downtown NYC, but it didn't make us want to live there any less. 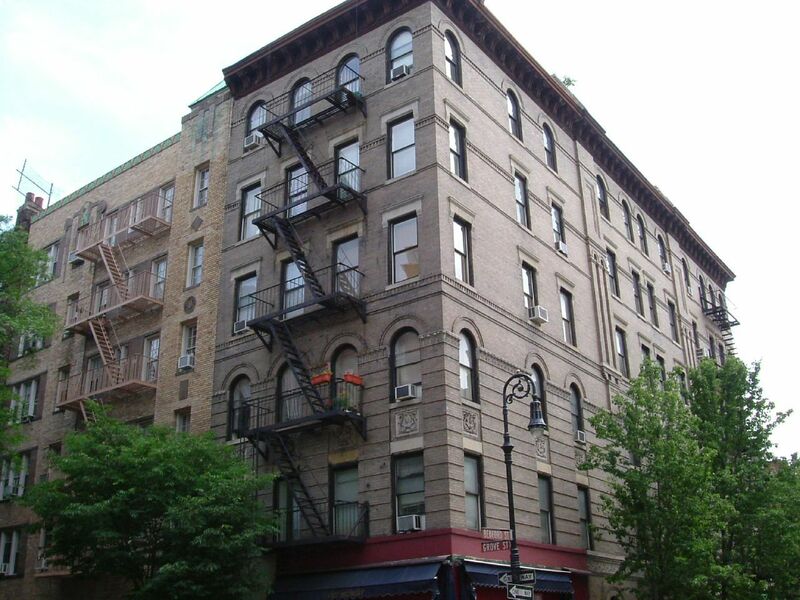 Both Joey and Rachel's apartments were filmed on-set in LA, but the exterior was filmed at the Greenwich Village building on the corner of Grove and Bedford. 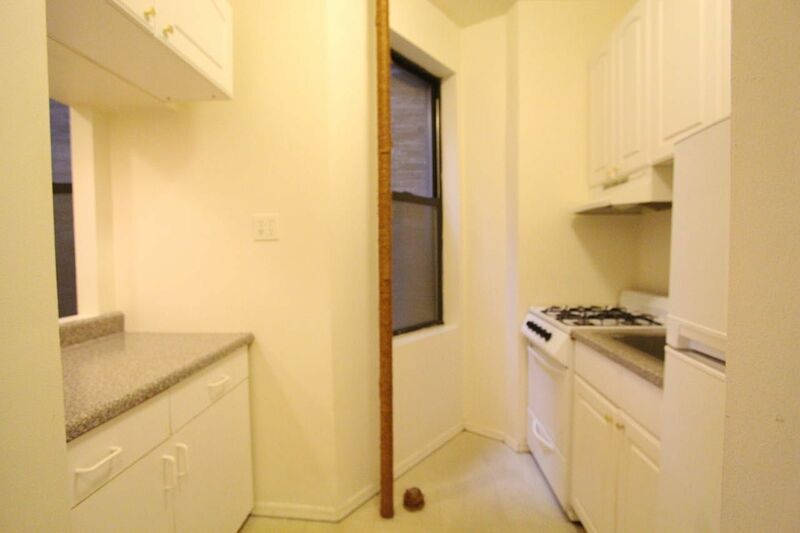 This is what the inside of a Bedford apartment home actually looks like. Considering how many windows there are, it would make sense for the rooms to look like this. Monica and Rachel's living room only had one window. 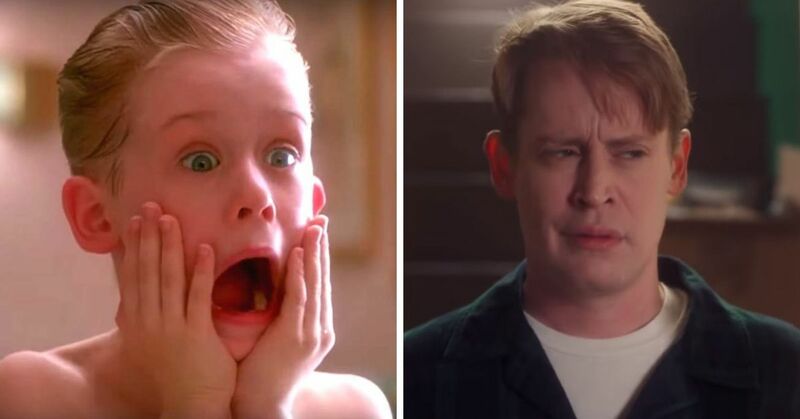 How did we not notice this before? The real Bedford kitchen is super small. There's barely enough room to stand by the stove. 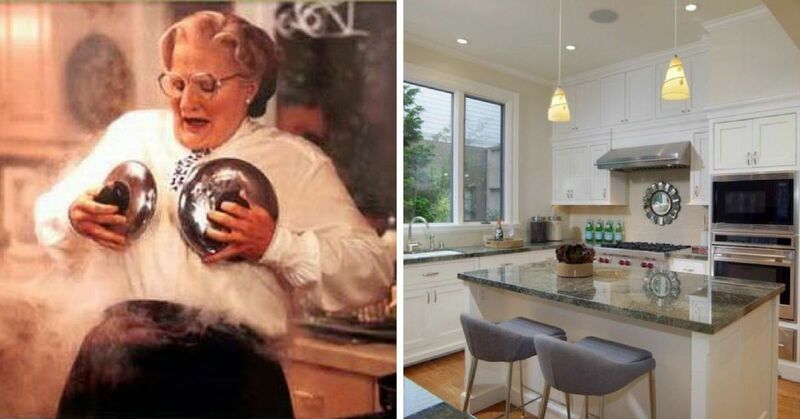 This 1993 Robin Williams film was shot inside a beautiful four-bedroom San Francisco home. 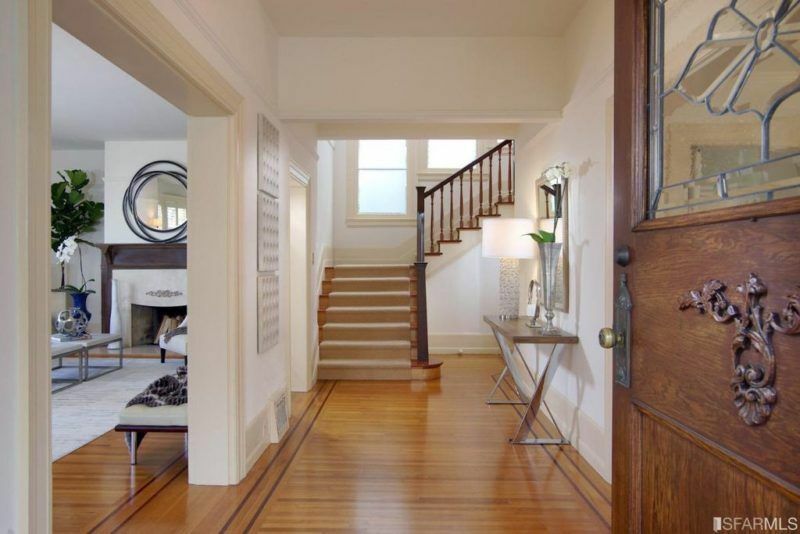 The property is located at 2640 Steiner St. in the Pacific Heights neighborhood and recently sold for $4.5 million. 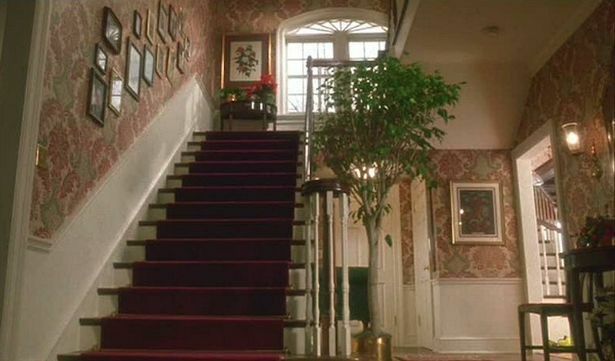 In the film, the front door was painted white and the steps weren't made out of red bricks, but not much else of the exterior of the home has changed. The inside, however, is quite a surprise. The Hillard home has to be my favorite! The hardwood floors have the same pattern. It's just the decor that has changed. 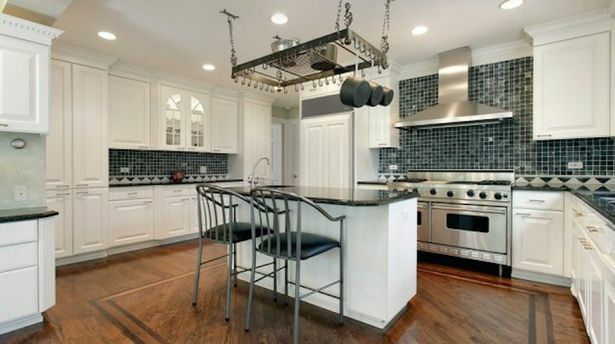 I loved the Hillard kitchen, but there's something enchanting about the renovated one. 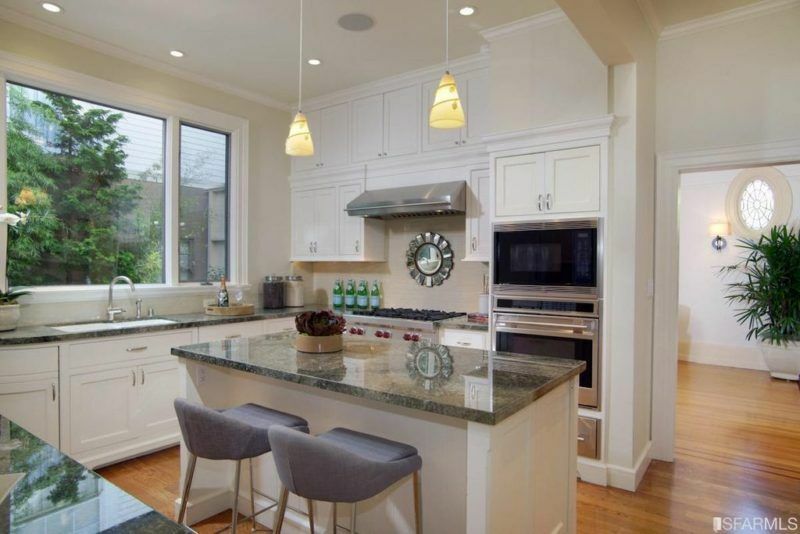 The white cabinetry and granite slab was a perfect choice. The Hillard home had built-in bookshelves around the fireplace and was crowded with other furniture. Whoever renovated this home was looking for a more modern aesthetic. The traditional dining room now looks much more spacious. 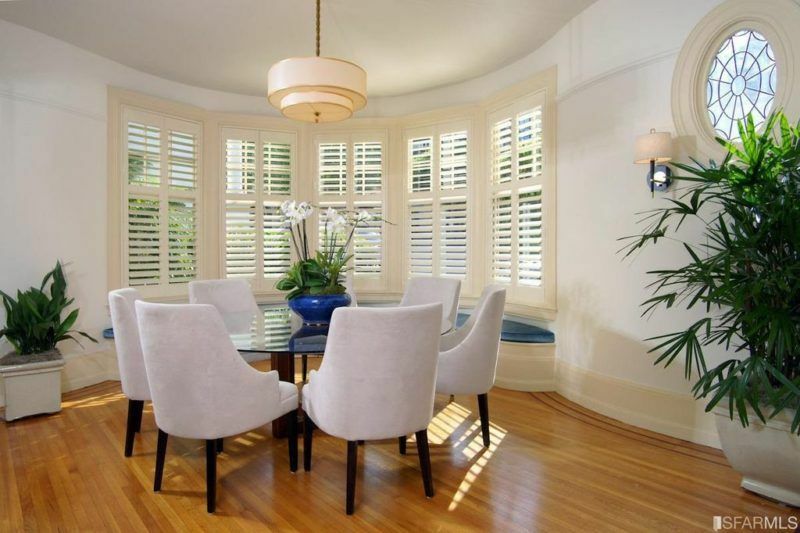 The windows have beautiful shutters, and the owners chose to place a round table, rather than an oval-shaped table, to make the area appear bigger. 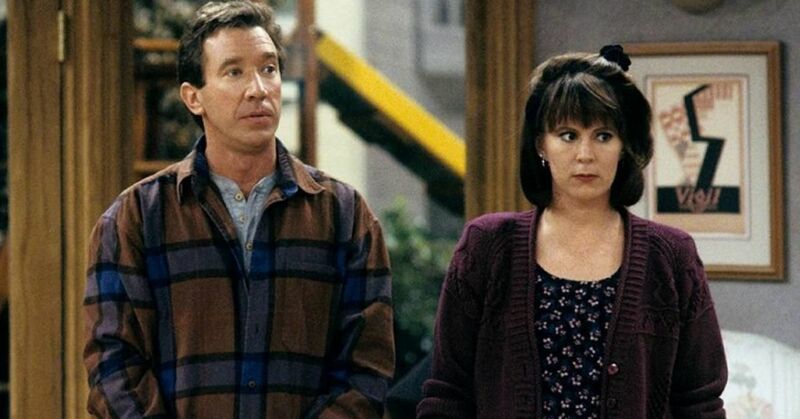 It's been more almost 25 years since the last time we saw the original Tanner home. The red door has been painted pale green and the house has been painted blue. 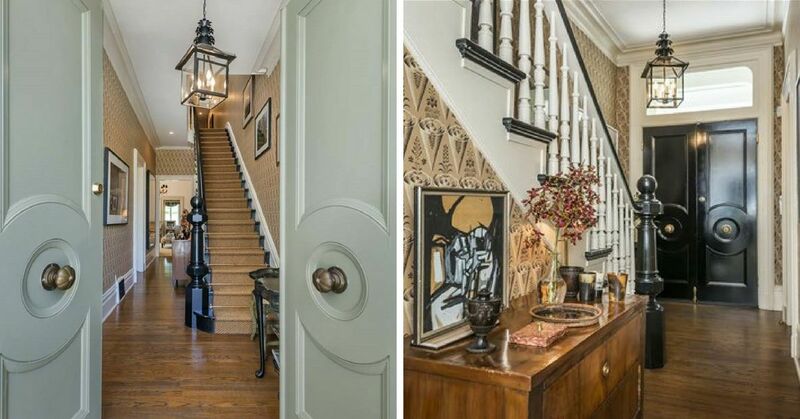 This San Francisco home sold for more than $4 million in 2016, and the inside looks stunning. 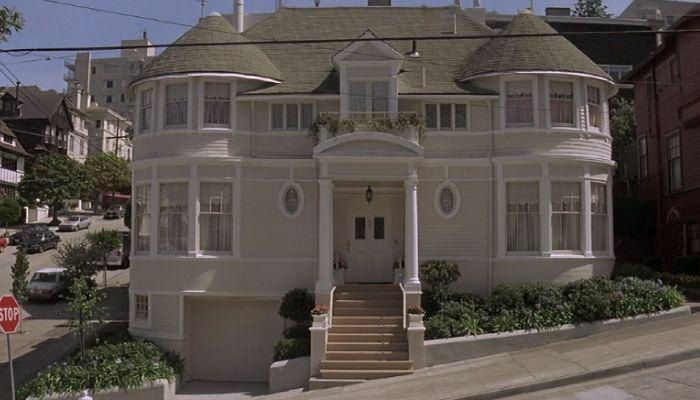 What many people don't know is that the actual interior of the Full House home was shot in a Warner Bros. studio. I've always wondered why Michelle and Melina's room was so spacious and the rest of the home seemed much wider than what the exterior looks like. 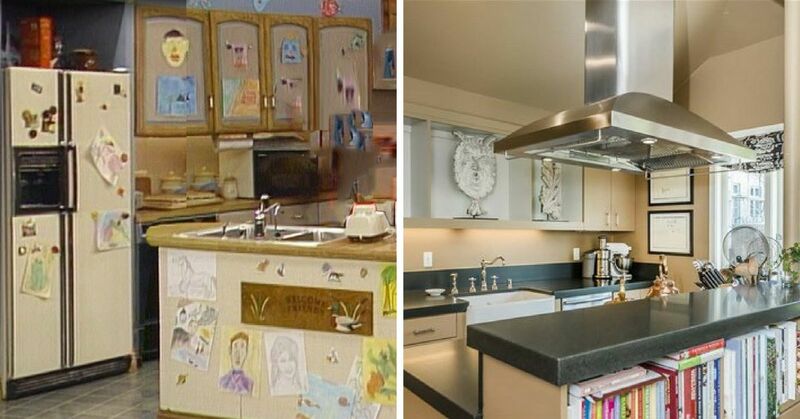 Without further ado, here's what the interior of the real Full House home actually looks like. The Full House entrance looks absolutely nothing like this. 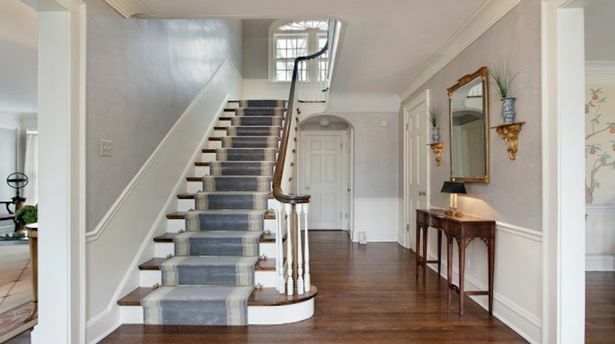 Considering how the outside of the home looks, it would make sense for entry hall to have a staircase leading to the next floor. The Tanner kitchen had such a cozy feel to it. There were a lot of people living in it, so that could be why. 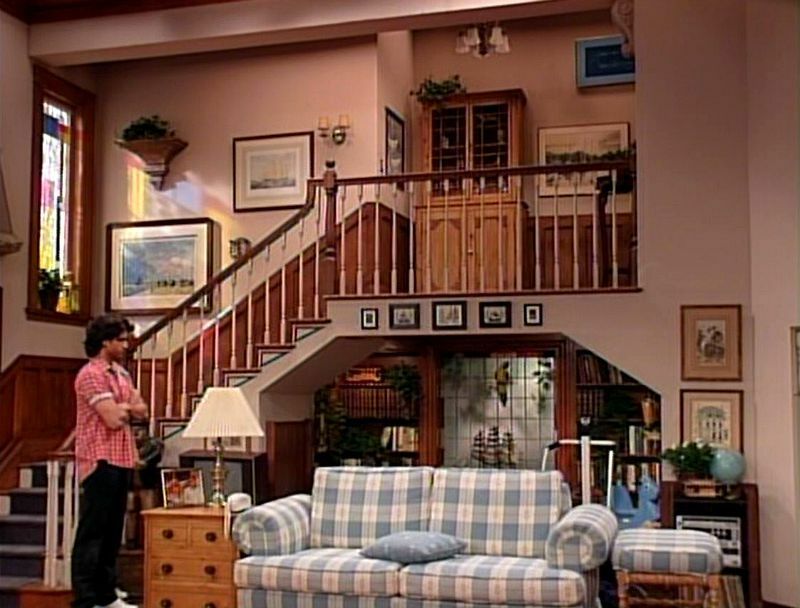 The inside of the real Full House home is not anywhere as welcoming, but it sure is beautiful and modern. The Tanner living room is iconic! It was spacious and had this adorable checkered couch that barely fit all of them. The office and living room area of the real home lacks that unique feel. 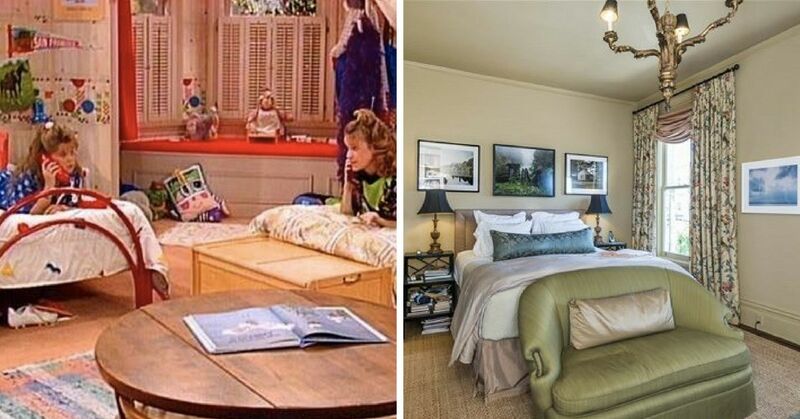 There's no way that two beds could fit in the real Full House home. 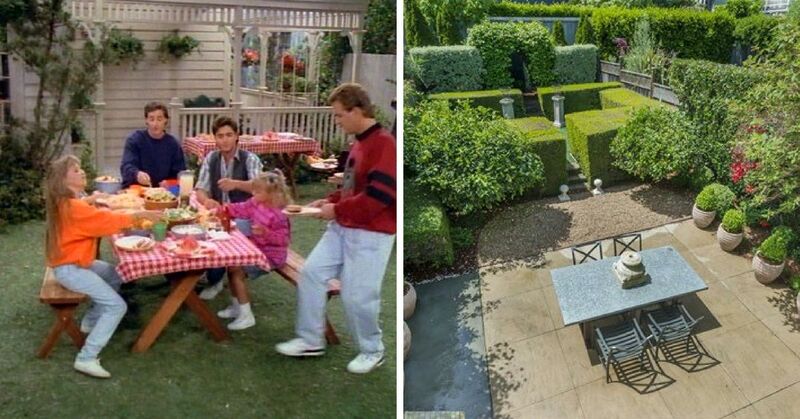 The Tanner home's backyard looked like most suburban backyards at the time, which is why I love it so much. It brings back so many fond memories. This San Francisco backyard looks upgraded, so I'd imagine it had that 80s or 90s feel to it when it was first constructed. 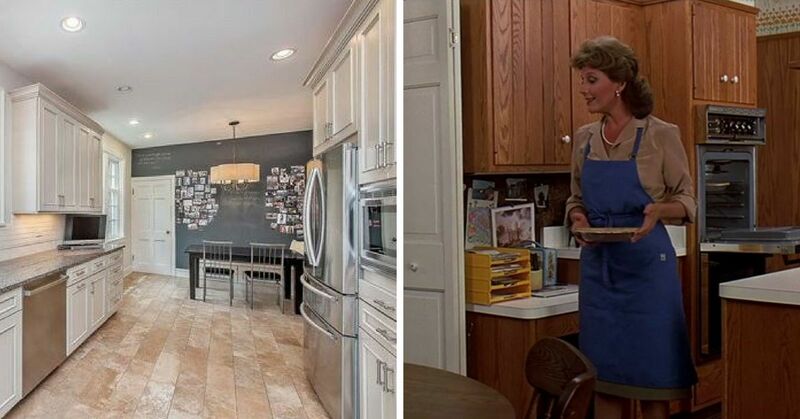 Which renovated TV home did you like the most? If you like this article, check out how much your favorite TV homes are actually worth. Have you ever dreamed of visiting an iconic movie location, here are some places you can see all year round.